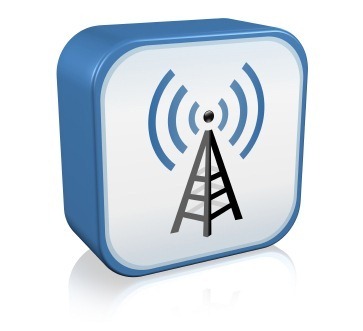 Crack into a Wireless Network or Make a Sandwich? It all started while being so hungry and trying to figure out what to eat, during the last visit to my family and found out that my brother has changed the wireless connection password. The moment I started thinking of what to do, few application names popped out of my head such as aircrack-ng, weplab, WEPCrack, or airsnort. 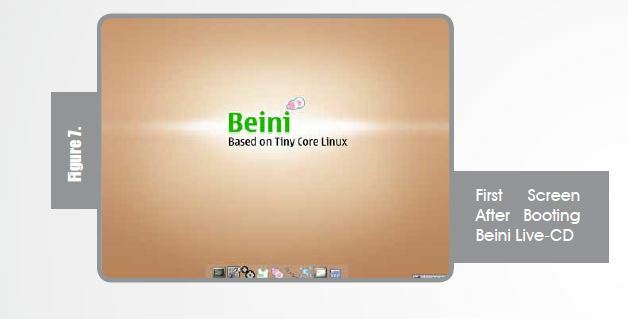 As my eyes gaze around the room, checking what else could have possibly changed, I found this mini-live-cd based on Tiny Core Linux called ”Beini” a Chinese GNU/Linux distribution, created and maintained by ZhaoChunsheng from Tianjin, China lying around on my desk. This attack allows you to inject and obtain packets to replay from your own wireless card and a pcap file (heard of something called “libpcap” before? Maybe?). Certain packets would only work (to be accepted by the access point) which will in return cause new IVs, and that’s the goal of this whole process, new IVs to find the WEP Key. Decode one packet! Disclose the plain text. 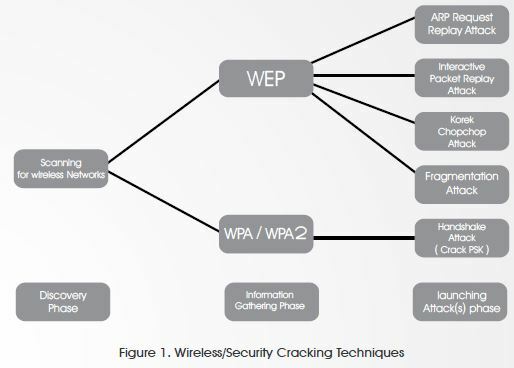 Successful attacks can decrypt a WEP data packet without knowing the key. It is also worth mentioning that it can even work against dynamic WEP which is a combination of 802.1x technology and the Extensible Authentication Protocol (EAP) — Dynamic WEP changes WEP keys dynamically. Again, fragmentation attack does not recover the WEP key itself, but only obtains the PRGA (Pseudo Random Generation Algorithm). 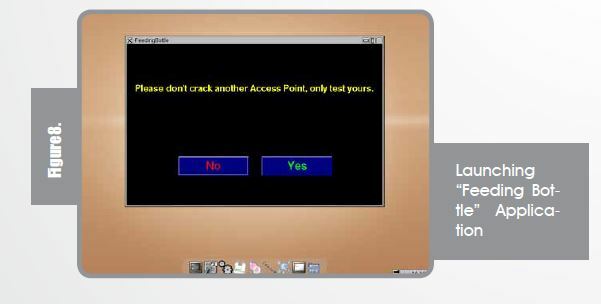 PRGA can be utilized later on to generate packets which is also in return help in the injection attacks. The attack obtains the full packet length of 1500 bytes xor, so any size of packet could be generated, and is sufficient to create ARP request. Alright alright, enough talking, let’s start cracking. Choose the “FeedingBottle” icon from the task bar. Please remember, this is only a proof of concept and you may test it on your access point only. After clicking “Yes” you will get the following screen to choose your wireless card and setting it into “Monitor” Mode. Once you hit “Next ->” and “Scan” airdump-ng starts to capture raw 802.11 frames to start collecting IVs. After scanning the large network (so many birds to hunt) I choose my house access point, I am a good guy. Once the attack is launched, airdump-ng starts to capture, IVs are the keys of our success, we try to initiate association request for fake authentication. Now association is happening, fragmented packets will be sent and generating a key stream file (xor file that will help in creating packets without knowing the key). After the injection, IVs are being captured and collected to start cracking. IVs collecting/ capturing is what counts and not the packets because it doesn’t help us with WEP cracking and many of the packets will be beacons (transmitted by access points to show their existence – hey I am here!). 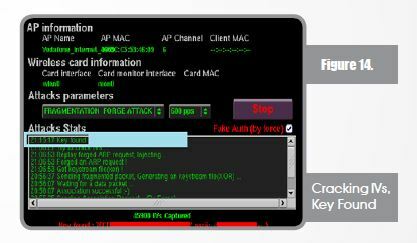 When enough IVs are captured (depending on the WEP Key size) you shall find the cracker working smoothly and in a few minutes the message “Key Found” will light up your eyes. Below you will see that the key was found and even converted to ASCII (from HEX).